The company is calling the service "Shape of an Angel" and will cost parents-to-be the equivalent of $1280 Cnd. 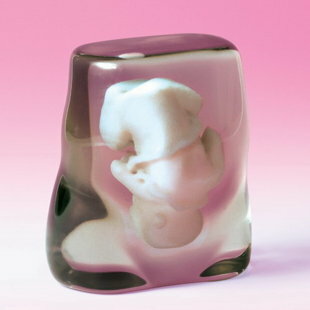 Someday, instead of offering women a grainy ultrasound of their unborn child, we'll offer them a fetal model. The sidewalk counseling potential is awesome. I think it would be really awesome to show my kids a model of what they looked like when they lived in mummy's tummy. Fabulous educational potential, too.